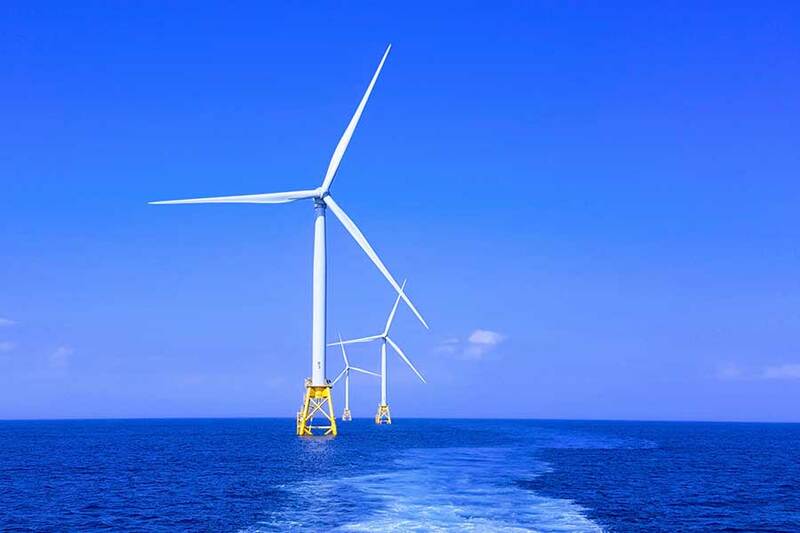 Montrose Port Authority, a leading support and service hub for the energy industry, has heralded a new era of capabilities, supporting its first project within the offshore renewable sector. In association with NorSea Group (UK) Ltd, a subsidiary of the leading Norwegian logistics company NorSea Group AS, the Port is participating in the pioneering Hywind Scotland offshore wind project. The four-week campaign consisted of five port calls for anchor handling tug supply vessel, the Normand Prosper. After loading chain and mooring equipment to the vessel, it then delivered the mooring systems designed to support Statoil’s floating windfarm project in the North Sea. The components of the project were assembled at NorSea’s Group Base in Stord Norway before being shipped to the offshore project, located 14 miles east of Peterhead, while the mooring systems for the five wind turbines were stored in Montrose Port. Throughout the campaign, NorSea acted in its capacity of onshore management contractor and utilised local expertise from Montrose-based Whyte Cargo Handlers and Chainco to handle and load the mooring systems. Nik Scott-Gray, chief executive at Montrose Port Authority, said: “North Sea offshore wind is undoubtedly a growing market and this has instilled a sense of opportunity within the energy industry.